The Apex Y550W is a state of the art women's comfort walking shoe. 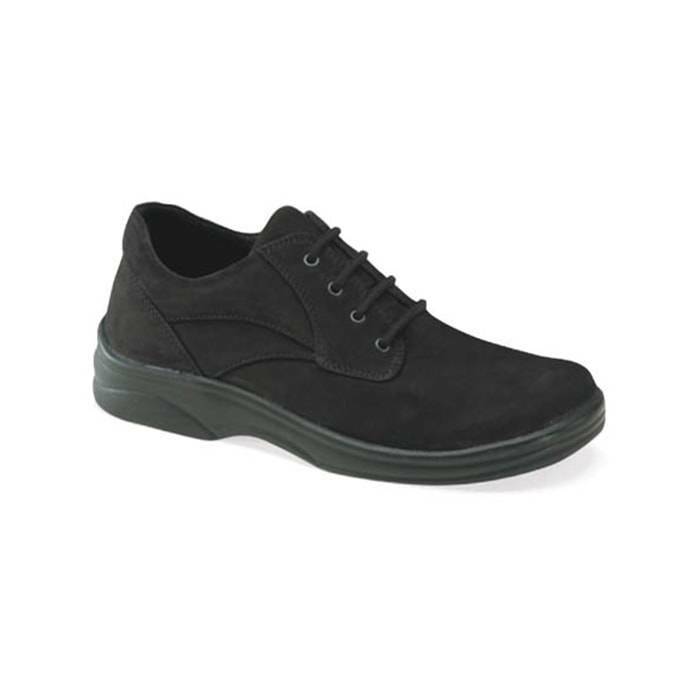 The Apex Women’s Y550W Black casual walker incorporates the comfort you need in a lace-up dress/casual shoe. State-of-the-art removable Aetrex orthotics and Pressure Relief System (PRS) insoles help to enhance your every move forward. In addition, a polyurethane outsole helps absorb the shock from walking and gives traction on a variety of surfaces. The supportive yet supple full grain leather upper provides total foot comfort, and the unique Ariya last offers added depth and rearfoot stability. Click To View All Apex Styles.